View the threads OlgaN has started. Leave feedback for OlgaN or read feedback left by other members. View the member feedback OlgaN has written of others. 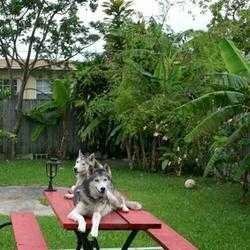 "Here is a picture of my backyard and pets. Yeah, I know, Siberian Huskies in Miami...."